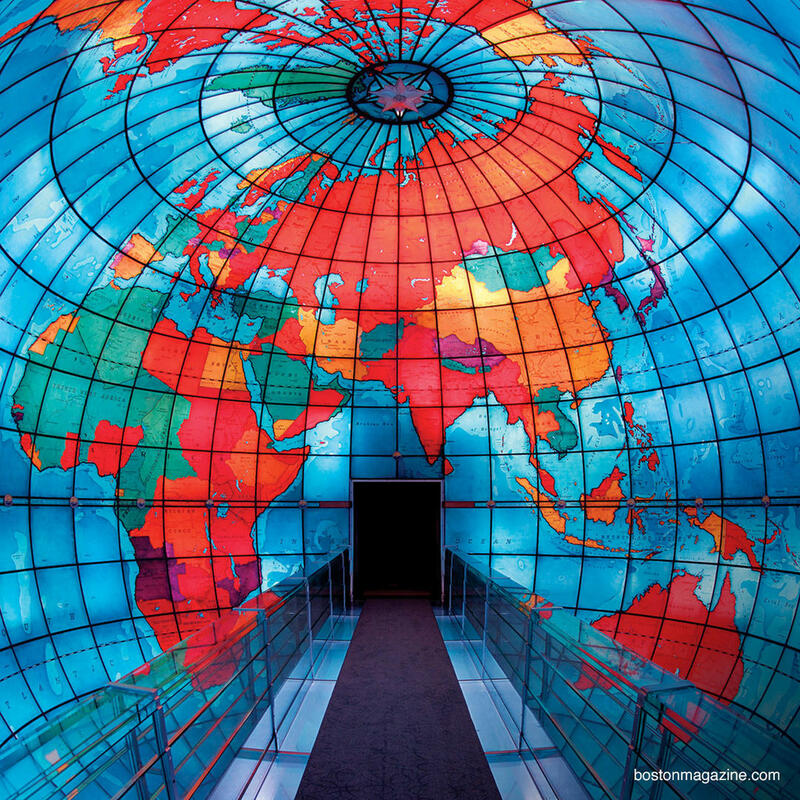 Housed in the Mary Baker Eddy Library, this three-story stained glass world globe is accessible via a 30-foot bridge into its interior. Built in the 1930s, this map is a throwback to that era - the country borders and names reflect that time period. The library decided against updating the globe due to cost and preservation considerations.